Gainesville- The Title IX hearing regarding the alleged sexual assault of a female by Gators football WR Antonio Callaway has found that Callaway was not responsible. 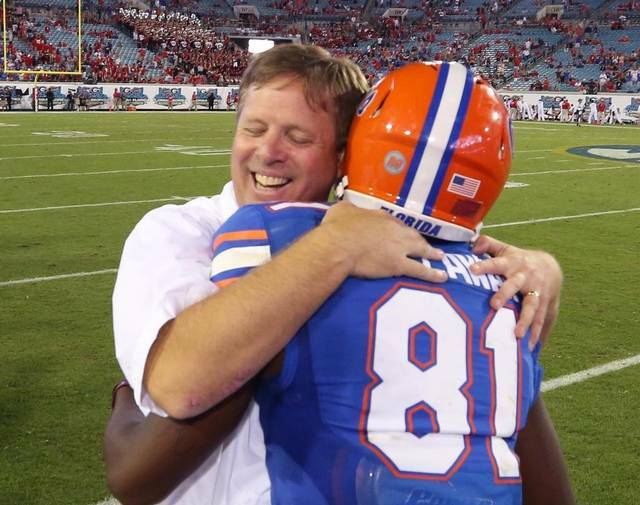 The finding allows Callaway to continue his education at the University of Florida, and allows Callaway to continue playing football at the school. Callaway has been permitted to practice and use the team facilities since returning to the school for the Summer B academic session. Callway was the Gators best offensive player and is expected to be the first target for Gators quarterbacks this season. The complainant had boycotted the hearing due to the fact that Gators basketball and football booster, and Jacksonville-based attorney Jake Schickel was the hearing officer. The complainant’s advisor has gone out of his way to distort Mr. Callaway’s actions. Please allow us to level the playing field. This decision by the hearing officer reflects only a fraction of the evidence which is not favorable to the complainant. The young lady’s advisor has said, ‘they take their witnesses and go elsewhere.’ They need to be careful what they wish for.